‘Tis the season for giving. And in that spirit I’d like to offer up some suggestions for holiday shopping and gift giving for the Jeep owner in your life. Whether you’re looking for whimsical Jeep gift ideas or practical ones, there are lots of Jeep-themed options this year — both large and small. Following are my top picks (read: items I’d like to receive myself!) that would make excellent gifts no matter what your Jeeping passion. Let’s face it… in today’s digital age, it’s downright refreshing to have good, old-fashioned reading material at hand, and Jp Magazine does not disappoint! 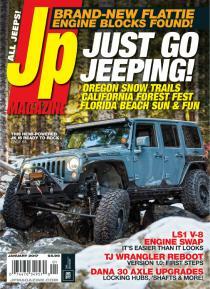 This “go-to guide for Jeep enthusiasts” has been in publication since 1996 and covers every Jeep model in history. At $20 for an annual subscription, the amount of information that’s packed into this magazine makes it a real bargain! Don’t worry, there’s also a digital subscription and a smartphone app available for that Jeep-loving friend who simply can’t give up technology. Regardless, this is one Jeep-themed gift that is sure to please. Okay, admittedly, as the owner of a vintage CJ-7, these items aren’t exactly on my wish list. But they should be on yours if you know anyone who owns a newer model Jeep Cherokee. I’m a big fan of Black Horse Off Road and Broadfeet brands — which are both available at CARid, a website I’ve found useful for both its product selection and ease of use. 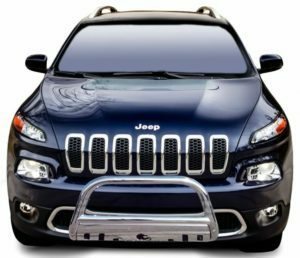 Not only are these grille guards and bull bars dynamic and new (they just came out this year), they offer customized protection in sleek and stylized stainless steel designs. So in addition to looking good, they also provide durable and practical protection for your rig. Part of the fun of giving a gift is finding something that the recipient may consider extravagant or wouldn’t necessarily buy for his or herself. Enter the Jeep tent. It’s perfect for the adventurous roadster (that is, almost every Jeep owner out there) who loves heading out to remote — or even nearby — spots for fun. 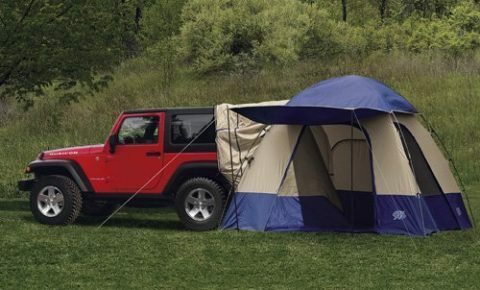 Jeep tents easily convert your vehicle into a home away from home wherever you are, making for a truly memorable off-roading and outdoor experience. The tents on the market are as varied as Jeeps themselves, and many are customizable to specific Jeep models. Two good sites I’ve found that offer a terrific selection of Jeep tents are JCWhitney and AutoAnything. Trust me, this is one gift any Jeep owner would be thrilled to receive. My last recommendation isn’t a product. It’s a website: Etsy! A quick search of the site brought up some unique Jeep items I hadn’t imagined being out there. Although Amazon and eBay have plenty of Jeep accessories and Jeep gift ideas as well, Etsy has an artistic edge I just haven’t seen anywhere else. Jeep coasters, his-and-her Jeep charms, and sterling silver Jeep rings anyone? Yep, you’ll find cool things like that on Etsy! If you’re reluctant to bite the bullet on picking something out yourself, Etsy also has gift certificates — so you can gift those instead and leave the choosing up to the recipient. Really, it’s an excellent way to go if you want to give your Jeep friend something that’s truly one of a kind. I’ve made it no secret that these Jeep gift ideas are on my wish list this year. But I truly believe they’d make any Jeep owner in your life happy, too. 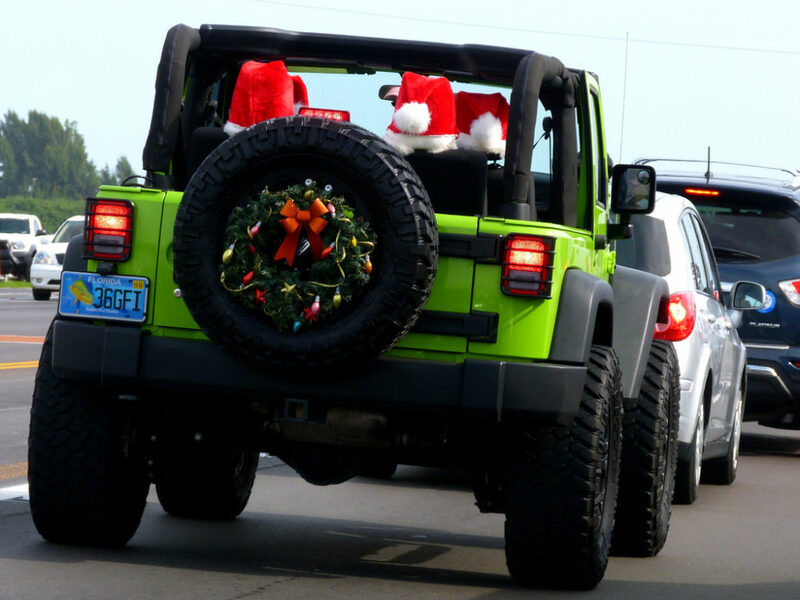 Happy Jeeping holidays!